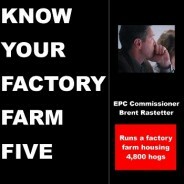 Home Posts Tagged "Factory Farm"
What does the election mean for our moratorium on factory farms? Nothing – not even a Republican-controlled legislature and Kim Reynolds in the Governor's seat – can stop our movement for a moratorium on factory farms. Legislative forums are an important space to raise issues you care about and to engage your legislator face-to-face. They're also a great place to start conversations and connect with more like-minded Iowans. 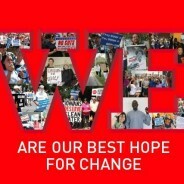 Here's a toolkit to help build support for issues you care about. Bill for Clean Water Iowa passes out of sub-committee! Five out of the eight Environmental Protection Commissioners for Iowa own, or have a direct financial interest, in factory farms. Despite this blatant conflict of interest, they sit on the Environmental Protection Commission (EPC). 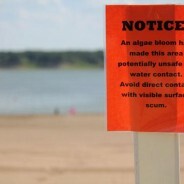 As blue green algae blooms spread across the country and Iowa’s public beaches close, Iowa Citizens for Community Improvement Action Fund members are asking what Governor Terry Branstad and his political appointees at the Iowa Department of Natural Resources and Environmental Protection Commissions are doing to solve Iowa’s water quality crisis.